I wrote this yesterday February 28th. There was no February 29th this year. I had to run out before I completed it. 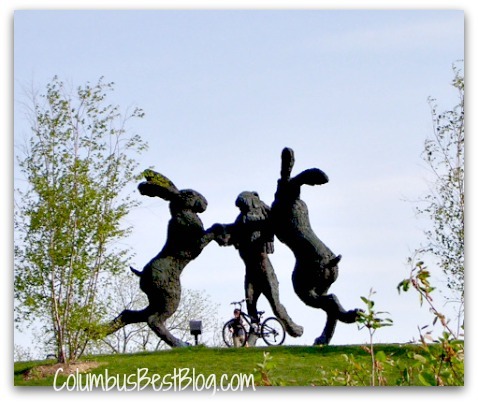 ColumbusBestBlog.com actually ceased to exist for a short time in February 2014. Kind of. The card on file with Go-Daddy to pay for the renewal of the CBB.com domain was one I used at Target in November or December of 2013. The card was replaced by a new safe card… a safer credit card. A card that was not hacked along with millions more at Target between Black Friday and just before Christmas 2013. I never thought to check GoDaddy. 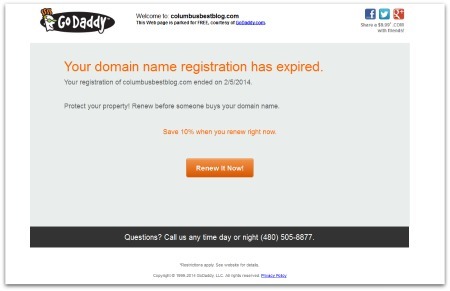 The ColumbusBestBlog.com domain was set up to auto renew. I got an email they could not charge to the card on file. ColumbusBestBlog.com was NOT immediately retrieved from domain name limbo either. I waited a few days before contacting Go Daddy. Then I had trouble with Go Daddy. Then I panicked. Then I renewed the domain for lots of years which is odd when I can not make myself post on ColumbusBestBlog.com. There were changes at ColumbusBestBlog.com’s host (not Go Daddy) as well that took it offline for a couple of days… The host moved it to a different server. It was not seamless. I believe that was in January. Or maybe that was in December. It’s amazing with the weather we’ve had this year that I have NOT been posting Columbus news, weather & sports on ColumbusBestBlog.com this year. I took a photo or two of snow rollers in January but I never posted them anywhere. I thought about writing a Ground Hogs Day 2014 post… Ground Hog’s Day is weather. I did not write a 2014 Ground Hogs Day post though. In case you missed it Punxatawny Phil said 6 more weeks of winter on February 2, 2014. Ohio’s weather rodent, Buckeye Chuck did not see his shadow so his forecast was an early spring. The non ground hog weather forecasters in Columbus are calling for 6 inches or more of snow for us starting late tonight March 1 or early tomorrow morning into Monday morning March 3. Spring will arrive on March 20, 2014 officially. The photo of the sculpture at Ballantrae was taken in March, I believe… a number of years ago. There were leaves on the trees. Looks like Spring has Sprung! Great weather is here to stay!